North Palm Beach, Florida, is a popular vacation spot — and for good reason. The area is bustling with recreational activities, nightlife, shopping, dining, and more. Below are five things to check out in the North Palm Beach area, brought to you by your friends at Schumacher Buick GMC of North Palm Beach. A Buick Cascada convertible is not exactly the first vehicle to come to mind when you think of camping. But at Lion Country Safari, the top-down design is the perfect way to take in the drive-through safari. Before you can see any wildlife, you’ll need to see the 2018 Buick Cascada for sale in North Palm Beach. If boating or other water sports are on the agenda for your vacation, then a GMC Sierra 1500 and the South Bay RV Park should be, too. A boat launching pad into Lake Okeechobee serves as a portal for boating, kayaking, canoeing, and fishing. With up to 12,500 pounds of towing capacity, the Sierra is your gateway to the waterway. Find 2018 GMC Sierra 1500 for sale in North Palm Beach. This oceanfront resort is a model of luxury and world-class service. Featuring a spa, pools, golf courses, restaurants, boutiques, and more, The Breakers is the premier Palm Beach destination for those looking for a luxurious getaway. Worried about fitting in? Roll up in the 2018 Buick Regal Sportback and leave those worries in the rearview mirror. This luxury sedan has everything you need to look the part. Check out the 2018 Buick Regal Sportback for sale in North Palm Beach. Take advantage of the nine-passenger seating capacity in the 2018 GMC Yukon and bring everyone along to the family-friendly Palm Beach Shores Resort and Vacation Villas. Situated right on the beach, this locale features fully-equipped kitchens and additional living spaces to accommodate larger families. Shop the 2018 GMC Yukon for sale in North Palm Beach. Looking to vacation on a budget? The Palm Beach Gardens Hotel & Suites offers an outdoor pool, exercise room, and cocktail lounge and is in close proximity to golf courses, shopping, dining, and entertainment venues. Best of all, it won’t break the bank. Pair this destination with the affordable Buick Lacrosse to remain practical throughout your trip. And you can start your savings by finding a deal on the 2018 Buick Lacrosse for sale in North Palm Beach. Making sure your vehicle is tuned up, safe, and outfitted with any needed accessories is the first step toward a good vacation. 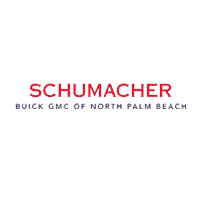 So when you arrive in North Palm Beach, make Schumacher Buick GMC your first stop toward a successful trip.